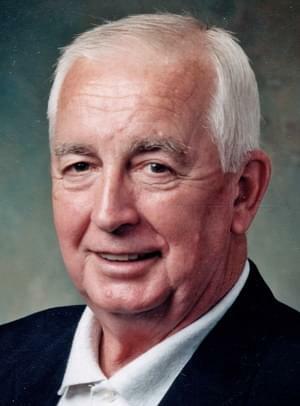 Gerald D. “Jerry” Ezell, age 85 of Centralia formerly of Texico passed away on Wednesday at Centralia Manor. He was a minister and owned the Bible bookstore in Salem. Jerry was a member of the Fouts Christian Church. He served in the US Army. Funeral services for Jerry Ezell will be held at 1:30 Sunday at the Brown Christian Church in Kinmundy, with Jerry Wilson and Howard Kraps officiating. Burial in the Phillips Cemetery in Kinmundy. Visitation from five to seven Saturday evening at the Rogers-Atkins Funeral Home in Salem. In lieu of flowers, memorials may be made to Phillips Cemetery and can be left at the Rogers-Atkins Funeral Home in Salem. There will be military rights by the Salem American Legion. Jerry Ezell was born on July 26th, 1933 in Grancity City to Henry George Ezell and Ivy Ruby (Wallace) Ezell. He married Joanne M. (Mauer) Ezell on February 25th, 1956 at Presbyterian Church in Granite City. Survivors include son: Scott Ezell of Texico; daughter: Sheila Thompson of Murfreesboro, TN; two grandchildren: Lacie Saylor and Zachary Thompson; two great-grandchildren: Jacob and Joshua Thompson; brother: Jimmy; sisters Carol and Beverly; brother-in-law: Fred Mauer and wife Sandy and nieces and nephews. He was preceded in death by four siblings: Russell, Kathleen, Henry, and Mary Alice and second wife Kay Nollman.